Helsinki‐Malmi is an international airport built in the mid‐1930s in the functionalist architectural style as part of a larger ensemble in Helsinki which was intended to serve the 1940 Helsinki Olympic Games, cancelled due to World War II. It is one of the best‐preserved still active pre‐World War II international airports in the world and a living cultural heritage site of early commercial aviation. With about 40.000 landings per year, Malmi is by far the busiest airport in Finland after Helsinki‐Vantaa International. 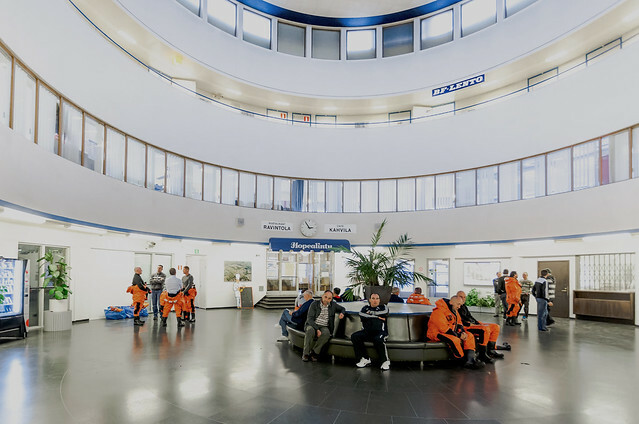 Complete with the original hangar, terminal and runways, Malmi’s area, as a whole, has been declared a cultural environment of national significance by the National Board of Antiquities. The airport buildings are in good shape thanks to good maintenance over the years. All four original 1930’s runways are still there and so is their massive underground drainage system. The airport is now under serious threat from a new development project. The City of Helsinki, which retains the ownership of the airport, proposes that the site be used for new residential development to be constructed in the early 2020s. In the meantime, the state is to withdraw its operations from Malmi Airport by the end of 2016 while the state‐owned airport operator Finavia Ltd is set to end its air traffic control and other services, rendering the airport unusable for any professional aviation activities. Although some or all of the airport buildings themselves may be retained, the decommissioning of the runways deprives them of any real purpose. Europa Nostra Finland, supported by the Friends of Malmi Airport (FoMA), submitted the nomination for ‘The 7 Most Endangered’ 2016, advocating that the site can continue as a training and commercial airport with added value from cultural tourism and its free-schedule services, which are otherwise unavailable within a 150km radius. In the longer term, the site could be proposed by the state of Finland for consideration to the UNESCO World Heritage program as part of the acclaimed sites of functionalist architecture built in Helsinki for the Olympic Games, according to an idea presented by the National Board of Antiquities, thus providing this unique heritage asset with the protection it deserves.